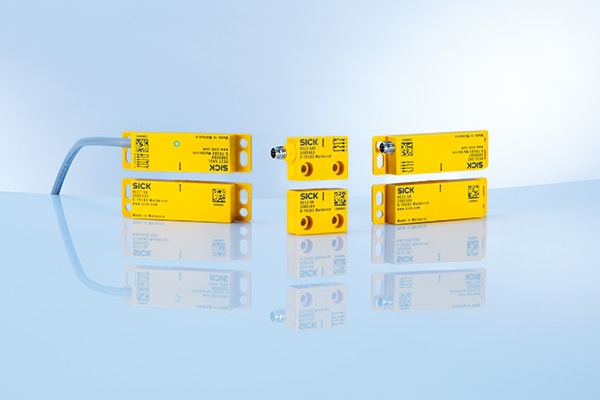 SICK has continued to add further new innovative products to its portfolio with two product families that open up a great variety of possibilities in conjunction with safe sensor and control solutions. Both the RE1 and the RE2 magnetic safety switches come equipped with either normally closed (NC) or normally open (NO) contacts , and use coded magnetic actuators which enables them to be used in areas where high levels of contamination may occur. Being easy to clean, makes them suitable for operation in environments where there are strict hygiene standards or contaminated areas. The RE1 / RE2 switches are ideal for applications of this kind as their operating principle enables greater tolerances where precise guidance of guards is difficult. 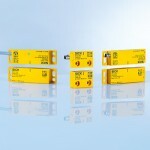 The RE1 switch offers a response range of up to 7mm with 1 NO/1 NC or 2 NO contacts and the RE2 switch of up to 9mm with 1 NO/1 NC, 2NO or 3 NO contacts. 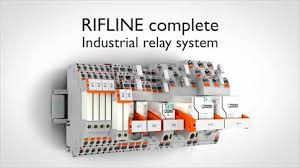 Their performance level is up to PL e / Cat 4 (EN ISO 13849) making it possible to directly connect to safe control solutions whilst eliminating the need for any additional wiring and installation time. Both of these ranges can be supplied with a standard plug connector or connected cable. Additional benefits of the Sick RE1 / RE2 also include long life due to their durable and low maintenance design, high level of machine availability due to high tolerances for door misalignment. Fast diagnostics via LED status indication on RE2 (RE27) making them an ideal fit for many machine designs and installations. For further information, technical data – Please contact us. Between 24th June until 19th July 2013, the new Rittal Flex-Block plinth (100mm high) is being supplied “free” with every new order on the SE 8 Floor Standing Enclosures. Not only is this saving up to 10% off the list price, it is also giving you time saved during the assembly that the Flex-Block provides.